$99 U.S. to $199 U.S.
iTech’s new ProStereo D1 Wireless Hi-Fi Headphone Amp plus digital to analog converter (DAC) is an elegant and versatile way to add premium portable wireless Bluetooth 4.1 audio to wired headphones, speakers, and car stereo systems. D1’s package includes a small and stylish triangular rechargeable playback module plus a compact tabletop USB-C charging station and a set of medium-quality earbuds. Written directions explain how to use this innovative product for go-everywhere top-quality sound. Here’s how D1 works. You charge up the well-designed metal playback unit’s battery using the round charger base or an included custom cable with a generic USB power source. Follow the written information to turn on D1 and connect it wirelessly to your Bluetooth audio player, such as an iPhone or iPad. Note: Bluetooth 4.1 is platform agnostic, meaning any and every modern computer, phone, and tablet computer can pair for playback. 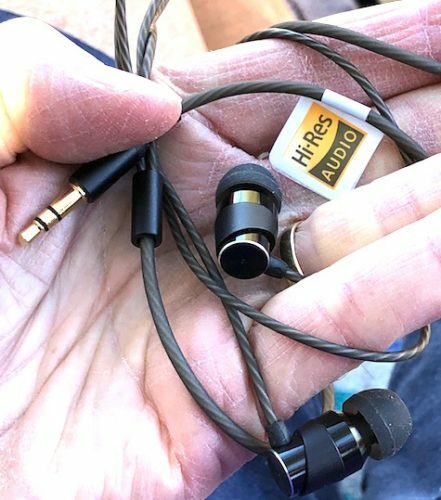 Insert a generic 3.5mm mini audio plug into D1’s audio out port, adjust your volume, and enter music heaven with D1 clipped to your belt or shirt or jacket or seat belt. Audio performance is enhanced by D1’s internal amplifier, which warms and boosts the sonic experience when compared to basic wired playback. This amp plus DAC does not alter the native sound; it fills it in almost imperceptibly without any drastic digital alterations. Audio output is 32 bit at up to 384 kHz, which is the maximum possible with Bluetooth 4.1. There is a bonus for when you are sitting at your computer. 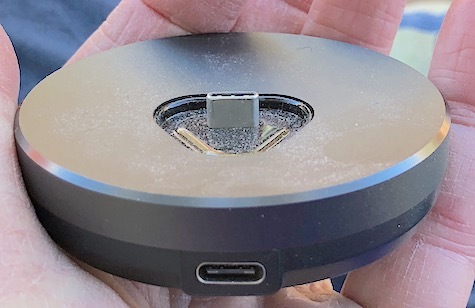 D1 can connect to your Macintosh or PC’s USB port for remarkable, accurate, full-featured Hi-Res audio output that is a joy to experience from your wired speakers and headphones. Wired headphones are not going away anytime soon, and many of us have one or more excellent over-ear, on-ear, and in-ear headphones that we enjoy using. I own two older automobiles that have auxiliary audio in ports and no Bluetooth. Driving, walking, cycling, exercising, camping, studying, reading, and countless other listening possibilities will be enhanced when you are not tethered to your playback device. This is a pre-release evaluation. Product shipments are expected in March or April, 2018. MyMac pre-release review rating is 9 out of 10. 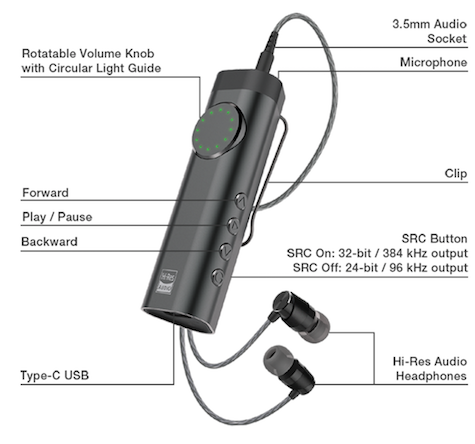 High quality and innovative product with many uses and benefits to dedicated music listeners.